The combined app should be based on Marzipan — letting it work on both iOS and macOS — and share the same features as its predecessors. It's also expected incorporate a new "Find Network" feature however, similar to Tile's Bluetooth-based tracking system. This would let people follow Apple hardware without Wi-Fi or even a cellular connection. 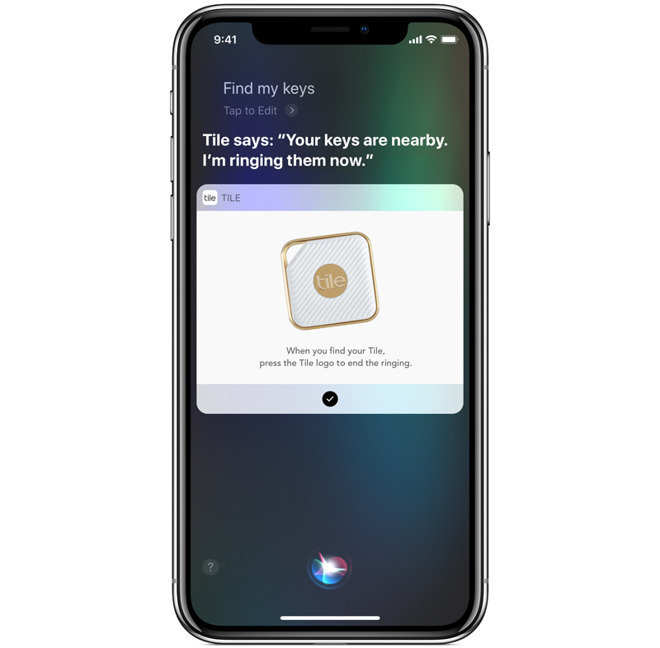 The Tile parallels may be very direct, as Apple is allegedly interested in tracking non-Apple devices as well by way of a "tag" product with the codename "B389." This could be attached to any item, and linked to a person's iCloud account by holding it next to an iPhone. This would then trigger notifications when the tag gets too far from the iPhone, with optional geofences so an item can be left in place, and the ability to share object locations with others. Tags should moreover include contact information, such that when marked as lost and scanned by another Apple device, the original owner will receive an alert. The claims stem from anonymous development sources cited by 9to5Mac. Apple and Tile have become relatively close partners. Most famously Tile was one of the first companies to support Siri Shortcuts in iOS 12, for instance letting people say "find my keys" or "find my scooter" to make a tracker ring. It's unknown if Apple plans to license Tile's technology to avoid any potential lawsuits. Theoretically Apple could simply buy Tile outright, much like it bought Beddit to acquire its sleep-monitoring technology.